Year-to-year comparisons can highlight trends and point up the need for action. Trend ratio analysis works best with VentureLine's five-year accounting ratios married with a common size analysis. With time period to time period financial analysis, good or poor performance becomes obvious. VentureLine provides cross-sectional financial analysis tools, comparing industry financial ratios to any company or comparing two companies in similar lines of business. Highly recommended by expert analysts is the most effective form of cross-sectional financial analysis: comparing a company's financial ratios and common size percentages to industry ratios and percentages in which the company competes. One way to visually zero in on potential problems and missteps taking place within a business is to prepare and study common size financial statements. Common size financial statements get rid of the dollars and cents, reflecting account balances as percentages only. 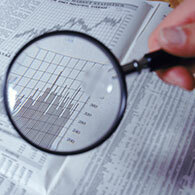 All VentureLine company reports contain common size financial statement analysis. Whether you are a student, professor, business person, sophisticated investor or an accounting professional we specialize in financial statement ratio analysis and industry ratios with instant downloadable results. Reports contain both trend and cross-sectional financial analysis in an accounting ratios and common size format. For accounting ratios financial analysis, industry ratios analysis, common size comparisons and analyzing investments, our mission is to assist you in researching financial ratios, achieving your monetary goals; minimizing your inherent risk of loss, while increasing your potential for success. 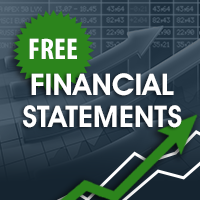 Your free one-stop-shop to obtain the latest five years of financial statements for any publicly traded company. Included is the latest quarter results filed with the SEC compared to the same quarter of the last year filed. 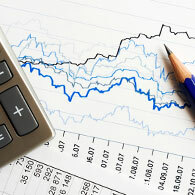 Financial analysis with accounting ratios and common size reports. All publicly traded companies and industries with 5-year financial analysis spreadsheets: ratio analysis, common size, and financial statements. 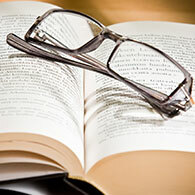 Largest online MBA accounting dictionary or accounting glossary of accounting terms. Access is free with a PDF version available for download. Accounting terms are described in layman's language with examples of application. Open pricing for all financial analysis reports on an individual basis along with pricing of licensing for students, professors, professionals as well as a financial analysis capability on a campus-wide basis.